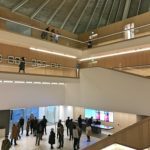 If you had the opportunity to walk near Holland Park, you probably are familiar with the location where the Commonwealth Institute used to be: a Grade II listed building dating back to the 1960s. 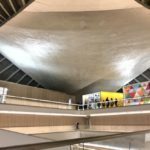 The building was designed by Robert Matthew/Sir Robert Matthew, Johnson-Marshall and Partners, architects, and engineered by AJ & JD Harris, of Harris & Sutherland. 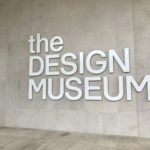 The building is the new house for the Design Museum. 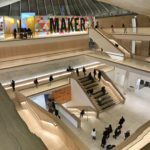 The museum was founded in 1989, originally located by the River Thames near Tower Bridge in London, and recently relocated to Kensington opening its doors on November 24th, 2016. 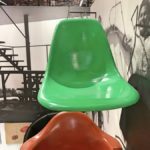 The museum covers product, industrial, graphic, fashion and architectural design. 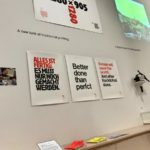 The new location also houses the Swarovski Foundation Centre for Learning, 202-seat Bakala Auditorium and a dedicated gallery to display its permanent collection, accessible free of charge. 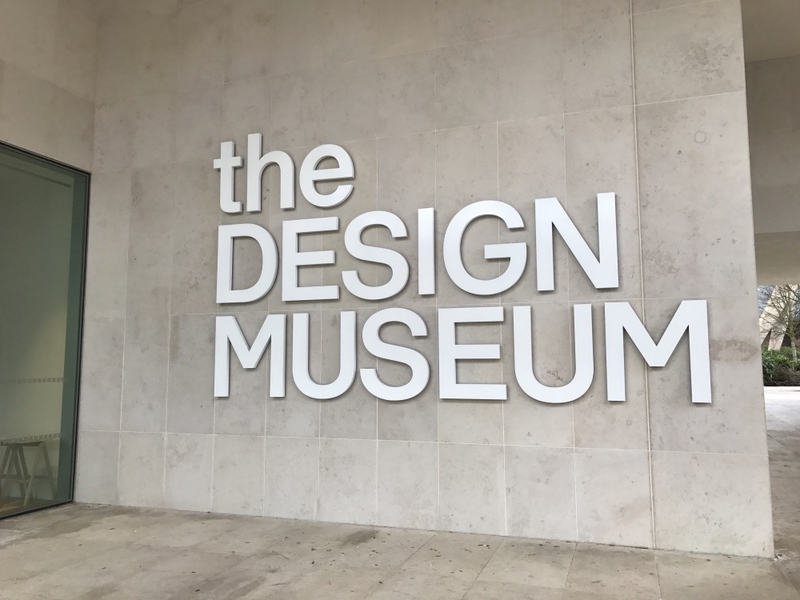 I recently visited the museum and had the opportunity to attend the Beazley Designs of the Year exhibition currently being shown. 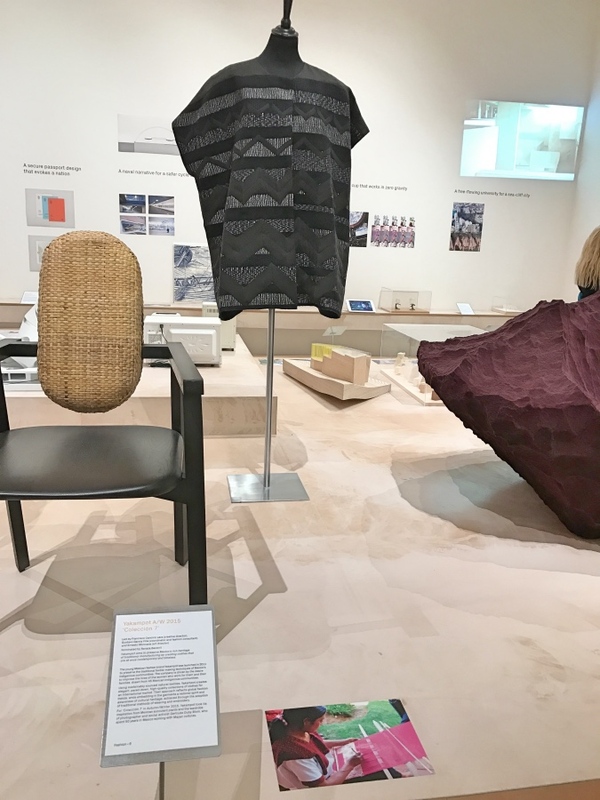 The exhibition showcases designs produced over the previous twelve months worldwide.The entries are nominated by a number of internationally respected design experts a, falling into the seven categories of Architecture, Transport, Graphics, Interactive, Product, Furniture and Fashion. 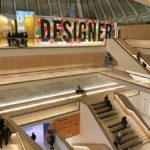 Since 2015 there have been six categories: architecture, fashion, graphics, digital, product and transport. Beazley Insurance came on board as exhibition sponsor in 2016. I was very pleased to see at least two entries from Mexico. 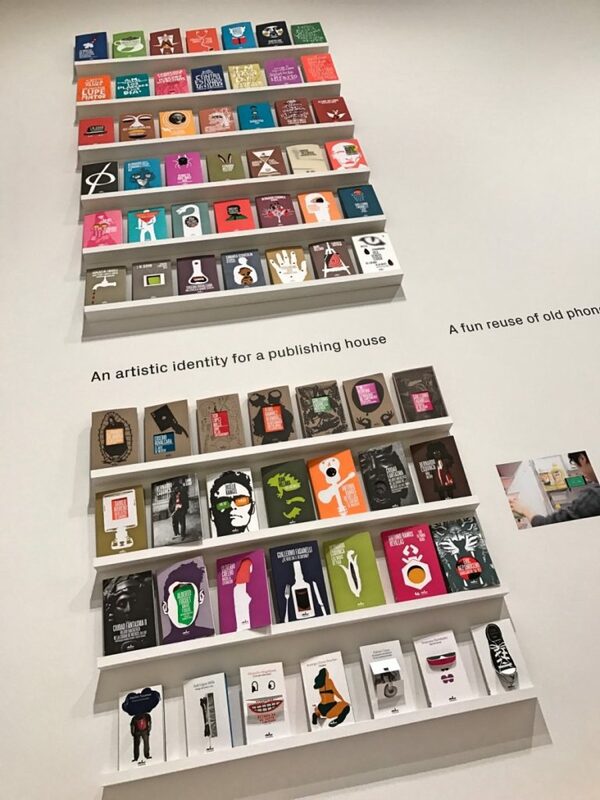 One of them is the work of the mexican Alejandro Magallanes for the Almadía publishing house, a small but innovative publisher based in Oaxaca, Mexico. I highly recommend reading the post in Yorokobu entitled “Las portadas exquisitas de Alejandro Magallanes”. The front covers for the Almadia book series was conceived when Magallanes looked into the archives and origins of the Almadia publishing house. 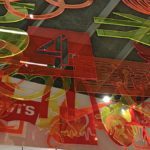 Creating a bold design, the covers add an element of craftsmanship whilst providing an object that the reader would like to behold. The other entry from Mexico was Yakampot, a fashion brand that aims to become an international name while embracing the cultural heritage of the country’s womenswear. 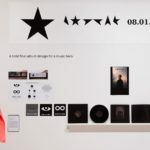 Also notable are the entries from Jonathan Barnbrook for the design of David Bowie’s last album “Blackstar”, as well as the Space Cup that enables astronauts to drink from a cup rather than a straw, developed on the International Space Station. The cup was a result of addressing the microgravity effects faced by fluids while at zero-gravity. 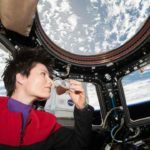 The project “Capillary Effects of Drinking in the Microgravity Environment” (Capillary Beverage) studied the process of drinking from specially designed Space Cups that use fluid dynamics to mimic the effect of gravity. 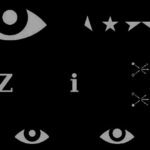 The album cover uses the Unicode Blackstar symbol creating a simplicity to the design allowing the music to be the focus and the creation of an identity that is easy to identify and share. 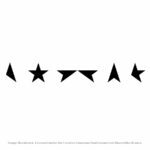 The album cover uses the Unicode Blackstar symbol creating a simplicity to the design allowing the music to be the focus and the creation of an identity that is easy to identify and share. 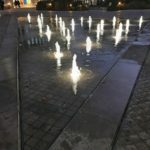 Designed using open source elements, the artwork for the album became open sourced itself following Bowie’s death enabling fans to engage, interact and use it. 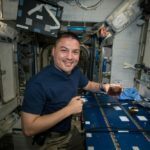 Using capillary forces to replace the role of gravity, the Space Cup enables astronauts to drink from a cup rather than a straw and was developed on the International Space Station. 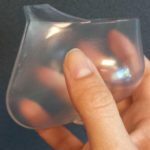 The Space Cup was designed and developed using scientific results of experiments conducted aboard the International Space Station. The cup is designed to exploit passive capillary forces to replace the role of gravity in an earth-like drinking experience, but in the low-gravity environment of space. Sealed drink bags are normally sipped through a straw to avoid spilling in space. The Space Cup however uses surface tension, fluid wetting properties, and a unique shape to drive the liquid toward the astronaut’s mouth while drinking.